Ilkley Playhouse01943 609539work TheatreThe Playhouse is conveniently located in the centre of Ilkley and has a well established season of productions. The Playhouse is also used as a venue for events throughout the year, including the popular Ilkley Literature Festival. The theatre has been presented with a blue plaque from Ilkley Civic Society, unveiled by the actor Timothy West, putting the building on the town tourist trail. 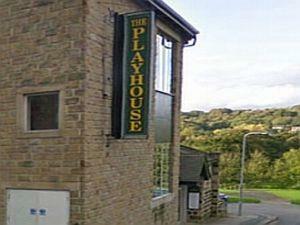 The Playhouse is conveniently located in the centre of Ilkley and has a well established season of productions. The Playhouse is also used as a venue for events throughout the year, including the popular Ilkley Literature Festival. There are two performance spaces within the theatre building: the Wharfeside Theatre, a traditional stage with auditorium seating and the Wildman Studio, a flexible space with no fixed seating.